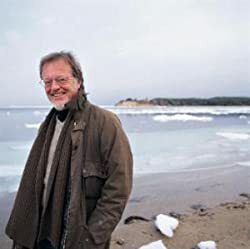 Please enter your email address and click the Follow button to follow Bernard Cornwell! An unfinished duel, a midnight murder, and the treachery of a beautiful prostitute lead to the imprisonment of Sharpe. Caught in a web of political intrigue for which his military experience has left him fatally unprepared, Sharpe becomes a fugitive--a man hunted by both ally and enemy alike. After the cowardly incompetence of two officers besmirches their name, Captain Richard Sharpe must redeem the regiment by capturing the most valued prize in the French Army—a golden Imperial Eagle, the standard touched by the hand of Napoleon himself. With Wellington outnumbered, the bankrupt army's only hope of avoiding, collapse is a hidden cache of Portuguese gold. Only Captain Richard Sharpe is capable of stealing it—and it means turning against his own men. To stem the Napoleonic tide, Sharpe must capture a fortress—where his wife and infant daughter are trapped—while protecting himself from a fellow officer determined to destroy him. A band of renegades led by Sharpe's vicious enemy, Obadiah Hakeswill, holds a group of British and French women hostage on a strategic mountain pass. Outnumbered and attacked from two sides, Sharpe must hold his ground or die in the attempt.